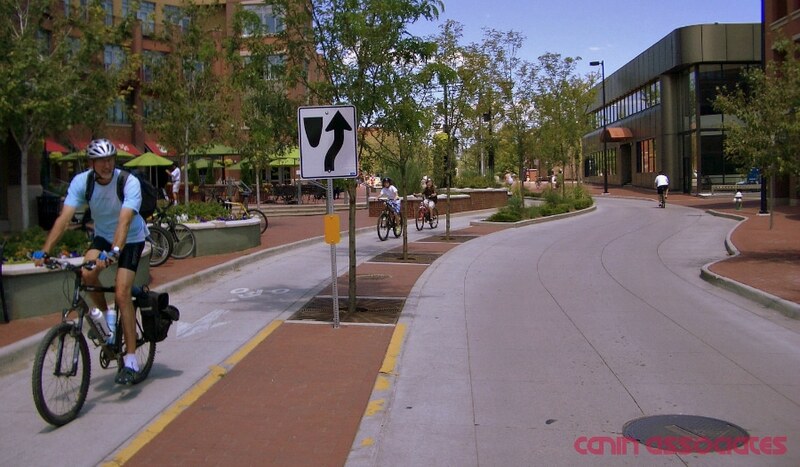 Home » byDESIGN Blog » Bike Lanes or No Bike Lanes: A False Dichotomy? In many cities, a false dichotomy has dominated recent conversations around cycling: Should bicycle-riders travel on their own specialized networks of bike lanes or should they ride on any road alongside automobiles? 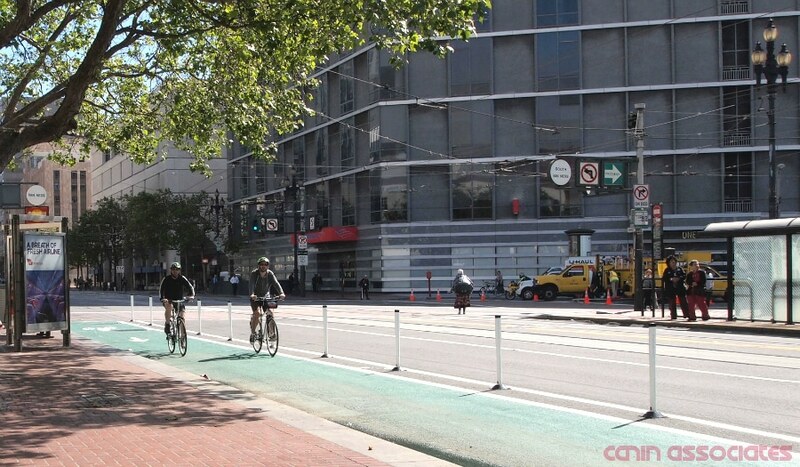 Across the United States, the bike lane (or “pro-facilities”) crowd is winning. In some cities, however, a vocal minority of “vehicular cyclists” blocks construction efforts while focusing on education. When we look more closely at the issue, it’s easy to see that the answer isn’t always one or the other. Both sides of the bike lane discussion have reasonable concerns. The pro-lane crowd cites statistics showing that bike lanes increase both safety and participation across a wide range of demographics. The vehicular cyclists argue that bike lanes, often poorly designed or maintained, reinforce the cultural message that the car is king of the road and can put riders in dangerous situations. Dead-end bike lanes, door zones, and the inability to turn left are a just a few of the very real concerns raised by those skeptical of bike lanes. What is often lacking from these all-or-nothing conversations is a real discussion of context and design. Similarly to how New Urbanists have argued for contextual road design, we need a contextual approach to welcoming bicycles and their riders both in the most urban and more suburban contexts and in the connections between them. These solutions should also take a city’s existing conditions into consideration, which often include poor urban design. Many urban design improvements can make biking safer with or without bike lanes. Reducing the number of driveways makes bike lanes considerably safer. Using quality urban design to reduce speeds on local streets makes biking safer with or without bike lanes. On the other hand, one of the common elements championed by Urbanists, the addition of on-street parking, can create “door zones” in bike lanes and narrow streets. In my less-informed days, I was “doored” on a quiet side street (without a bike lane). I was riding too close to parked cars in an effort to be polite to non-existent cars behind me, and the driver of a recently parked convertible opened his driver-side door directly in my path. Shocked and confused I looked around to see shattered glass and concerned onlookers. The driver seemed as surprised and confused as I was. Fortunately I was not going fast and walked away with minor scratches and bruises on my arms and ego. However, I’ve never looked at door-side bike lanes quite the same again. For me the lesson was multi-fold. The most obvious result was to bring home the fact that “door-ing” is a real risk and should be considered in bike lane design. However, this street didn’t have a bike lane. So even a good design can’t replace education about how to ride safely. Education also ties into the issue of culture. We need a supportive culture to help people make good decisions when they ride and not based on fear of getting negative attention from people driving cars. Over the next few months, I’ll go through some specific example of how good principles of urbanism can contribute to bike safety with and without bike lanes. These include slow, connected street grids, bicycle boulevards, general urban design improvements, and appropriate context for higher or lower intensity styles of bike lanes, paths, tracks, or lack thereof. 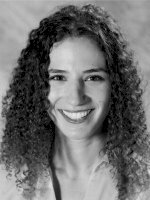 Eliza is the Director of Urbanism at Canin Associates, where she manages private and public sector projects from multi-county LRTP efforts and GIS analysis to community engagement and land use planning. She is a member of various local and national organizations, including the national Congress for the New Urbanism board.